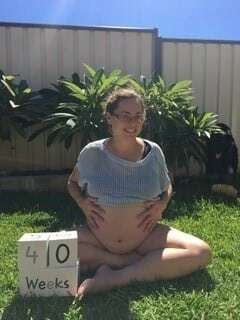 Sheryl shares her birth story after completing the Hypnobirthing Australia program and highlights how she only just made it to the hospital in time as she started to get the urge to bear down on arrival at the hospital. Sometimes mums can second guess themselves because they are handling their surges so well, breathing and moving through them, and so they don’t feel they need to go to the hospital just yet. 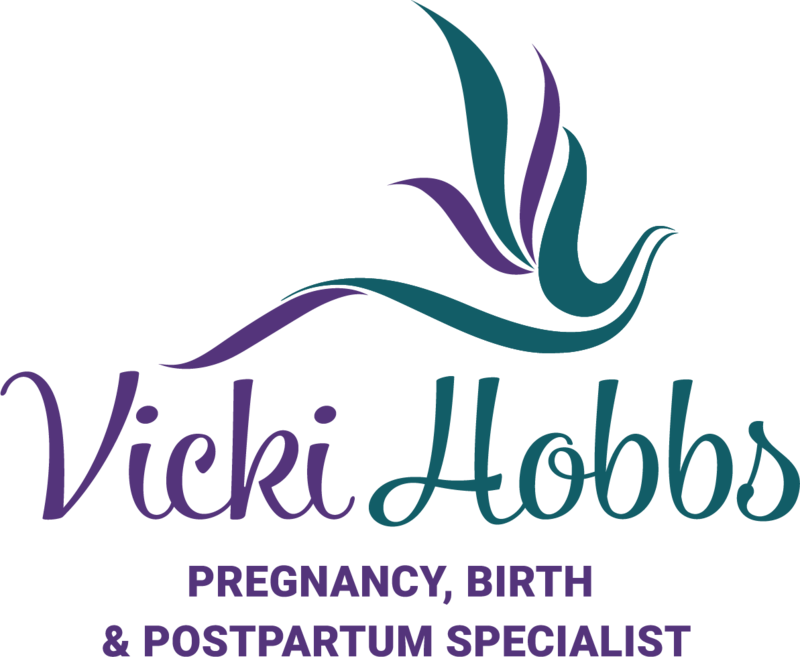 Sometimes mums have a really strong pain threshold as well, as in Sheryl’s case, so do what feels right for you and go with your instincts – but by doing the Hypnobirthing Australia classes with me I can help prepare you so you feel confident and ready for birth. 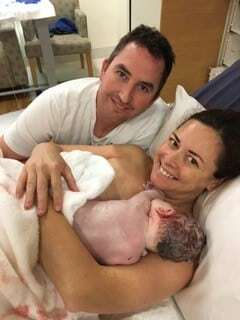 Here is Sheryl’s birth story. 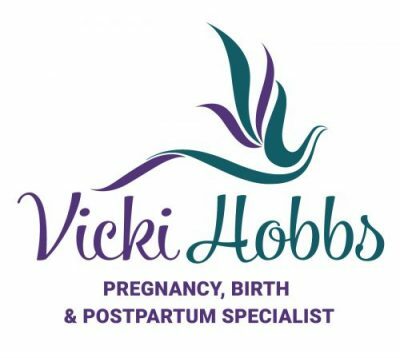 Thankyou Vicki, I was just so happy that I had such a positive birth experience this time round! Lauren May made a very quick entrance one day after her estimated due date at 10.18am on Saturday the 31st of March. 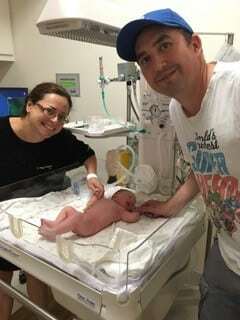 We have been told that we were lucky to make it to hospital, and that if my waters had broken on the way I probably would have birthed on the side of the freeway! Having said that, I loved her birth, and happily tell people about it if they ask. So to begin, exactly 1 week before Lauren was born I went in to hospital to see how I was tracking (this was 6 days before my due date). My cervix was complete jelly and my Obstetrician could feel Lauren’s head through the walls easily (yay!). The next day I started losing my mucous plug, and then began a week of continual mucous bloody show and practice labour (very different to my Braxton Hicks up until then). 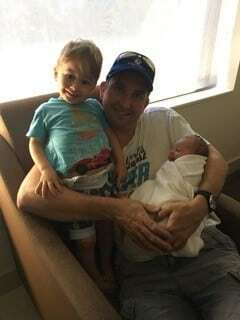 On the morning she was born, I had a couple of surges very lightly about 3 hours apart between 2am and 5am. At that stage they were similar to the other days, so I kind of dismissed them a bit. After 5am they started getting a little bit more regular and by 6.30am they were about 40 minutes apart and I was uncomfortable laying down or sitting. I got up, messaged my friend Deb who was going to be my support person to say I thought it had really started this time. I popped on my music (a mixture of Pink and Enya was my choice during this first stage) and wandered around outside just trying to relax into my zone. During the surges I used a combination of my hypnobirthing surge breathing, and loose figure 8 belly dancing moves, followed by 4 relaxation breathes after. The combination was amazing, and really helped me work calmly through them at that stage. Matt left to drop our son Josh off at his parents at 7am, and at about 7.30ish I called the birth suite to ask if they still wanted me to come in for my monitoring appointment (which had started on the Thursday two days before due to my age!). 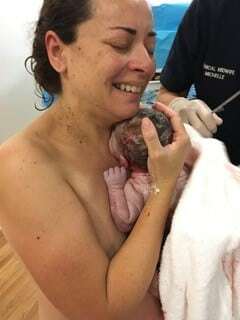 The midwife supported me staying home to let it build and to only come in if it ‘fizzled out’ or if they got less than 5 minutes apart regularly. She added that if I could still talk comfortably during them I probably still had a little while to go (worst advice ever for someone with a high pain tolerance ). By around 8am Matt still wasn’t back, and surges were going between 5 to 15 minutes apart (I didn’t really use the contraction counter app much as I was just trying to stay in the zone). As I felt a bit alone, I got a bit panicky, so I called Deb. She was actually just getting out of her car at our house when I called her, as she wanted to check on me before she went to work. During the time she was there the surges got more intense, and I found I got better relief kneeling on all fours doing tighter figure of 8 moves and surge breaths. During my relaxation breaths I stood back up and did my half arc swaying dance moves slowly. At this time I also started to feel like I needed to do a poo, but just couldn’t get it out and thinking back it’s a pity I didn’t tell Deb that, as it was clearly a big neon sign that things had progressed more than we realised . Matt rang to say he was nearly home so Deb left to sort out her work, and we were to call her if there were any changes. When Matt got back we planned to put on a movie for me to tune out to, but I just couldn’t get comfy. I jumped in the shower and got some instant relaxation and relief, so I stayed in there for ages just kneeling under the warm water and doing my figure of 8’s whenever a surge hit. During this time I found that the need to do a poo was increasing, but it just wouldn’t come out (). I found myself getting more into my head and losing the rhythm of my breathing as I argued with myself about what was happening and reasoned that it was just the baby’s head dropping into the pelvis causing the poo feeling. I felt that I would be a failure if I gave up and went into the hospital too early. (Looking back pretty sure I was already in or even passed transition ). Finally, I recognised that I was actually bearing down on that ‘poo’ and that my breathing had changed to breathing down ones as surges hit. I jumped out of the shower and yelled out to Matt that we had to go. When he came into the bathroom he noticed blood trickling down my legs, and he rushed me out to the car! As we left Matt called both Deb and Cell Care (who actually beat us to the hospital as she had a feeling it wasn’t just a panicked Dad overdoing it!). Matt hightailed it down the freeway, honking his horn to move cars out of the way. By this stage surges were very close (we weren’t timing) and when we got to the hospital he parked around the back, so we could take the elevator straight up to maternity. Being a Saturday morning the ward was busy with cleaners, visitors etc and a massive surge hit just inside the doorway. I really got back into my birth dancing and breathing as I tried to tune out all eyes on me (wet hair, bicycle pants, no bra and one of Matt’s t-shirts on), and one of the midwives on the ward rushed to find a wheelchair to get me through the ward to labour ward faster. I had another surge inside the door of labour ward and I got out of the chair and knelt on the floor. The midwife actually ran over and asked me if I was bearing down – ummmmm a big yes! When the surge was over they rushed me into the room and asked me to lay on the bed to check how far dilated I was. I not very politely refused, and she suggested waiting until after the next contraction to try. 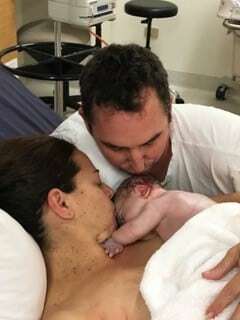 At that point the next surge started, and I pulled my shorts off and knelt down – which is when they realised there was no need to check my dilation as my membranes were bulging and they could see the top of the baby’s head. With the next surge my membranes released (waters broke) and her head and shoulders were out. At this point they made sure I stopped trying to breathe her down until the next surge hit (which I remember felt like 10 minutes). Then I put my hands between my legs and she came out into them – magic! Whilst we waited for the delayed cord clamping Matt helped hold her and got my shirt off, so I could pull her up onto my chest (he got the most amazing photo of me kneeling there holding her!). I got to do skin to skin contact for a full hour before they did her measurements!! The Obstetrician on call arrived just as I birthed the placenta (which I found more painful than Lauren actually coming out!). She checked me out and was amazed I had come through with zero tearing, and only a light graze. I strongly believe this was thanks in part to my hypnobirthing breathing! Lauren herself finished off what I felt was a truly amazing birth by finding and latching herself on to my breast for a feed! Looking back, although I now recognise I probably should have heeded more signs and headed in earlier, I still love my birth. It’s funny, but I never really got to a stage where I felt out of it and can remember everything with such amazing clarity. I also recognise that although I may have got a bit panicky at times, I never got to a stage where I felt that I couldn’t cope with the ‘pressure’ and felt like I needed pain relief as I did with Josh. Overall, the combo of the breathing techniques I learnt from Vicki, plus the belly dancing birth moves was perfect! Later on I discovered my birth was the talk of the hospital for a couple of weeks. A girl in my mums’ group vividly remembers being told about it! 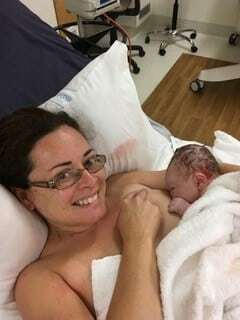 Then another lady in a private Facebook group recognised my story when I posted about Lauren’s birth as she was in the labour ward for monitoring when I came in – she says her midwife left her and came back 5 minutes later to say the baby had arrived . Plus it’s always good when the cleaner congratulates you as she remembers my wonderful entrance on the maternity ward.